Many job seekers today are finding it difficult to find a job due to a variety of reasons, including a poor employment environment and rapidly changing technological requirements. To help job seekers develop an edge on the competition, Aspire! Empower! 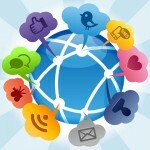 Career Strategy Group has created a 5-step plan for utilizing social media in job searches. A prime example of a company who is seeking job applicants through the more non-traditional social media avenue is New York venture-capital firm, Union Square Ventures. This company, when hiring for an investment analyst, did not ask job applicants to send resumes, but instead to send links that represent their web presence. Know what kind of position you are seeking. Have a complete LinkedIn profile that is professional and authentic. Become an expert in your field and share your expertise with online groups. Learn how to Twitter and use a LinkedIn strategy with it to communicate with key contacts and experts. Create an online video that represents your qualities and accomplishments. Aspire! Empower! Career Strategy Group is a career consulting firm that helps professionals land their dream job by offering coaching, resume and career marketing document development, social media training, and workshops. For more information, please visit http://www.aspire-empower.com.